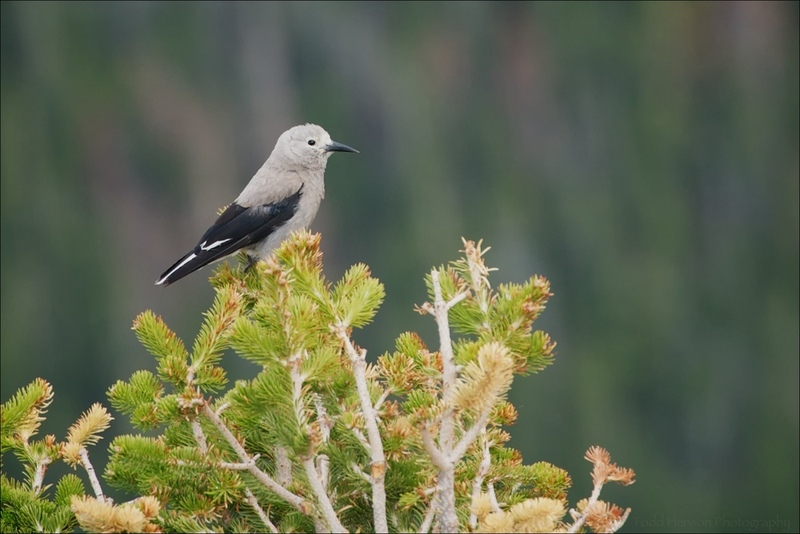 Clark's Nutcracker looking to me for food. I didn't give it any. 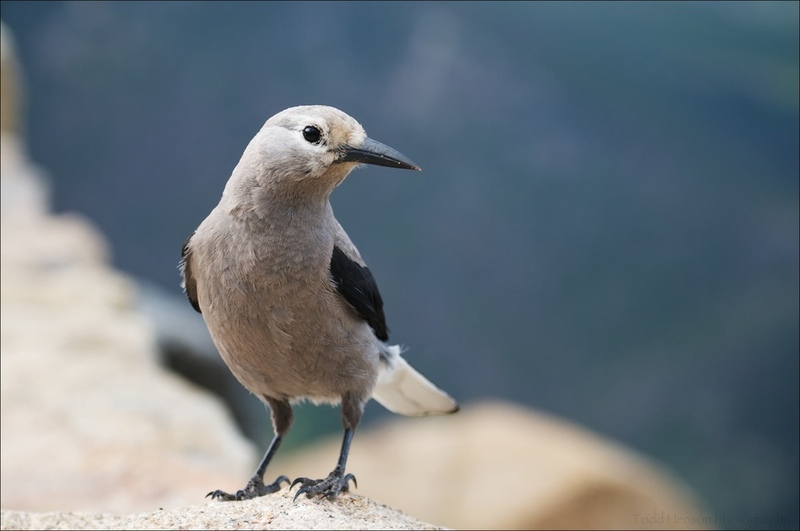 The Clark's Nutcracker is a grey bird about a foot long with black wings and white under the tail feathers. 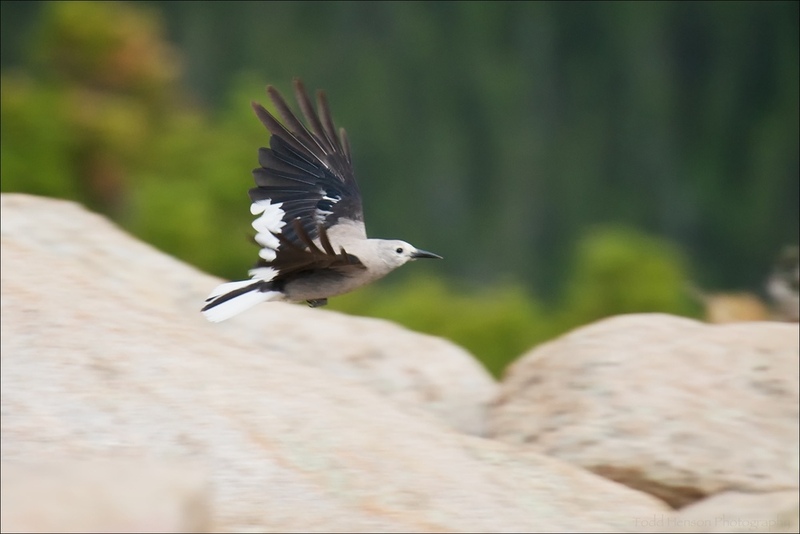 It can be found in areas of western North America. The Clark's Nutcrackers I photographed were completely fearless. They appeared to be competing with Uinta Chipmunks begging for food from anyone nearby. They would hop along the stone borders of the parking area, then fly off to some trees, and eventually return to the parking area to do more begging.